Santa Catarina, Brazil (January 14, 2015) – Not everybody can be a champion lesbian surfer like Keala Kennelly or Cori Schumacher, but it doesn’t mean you can’t try! 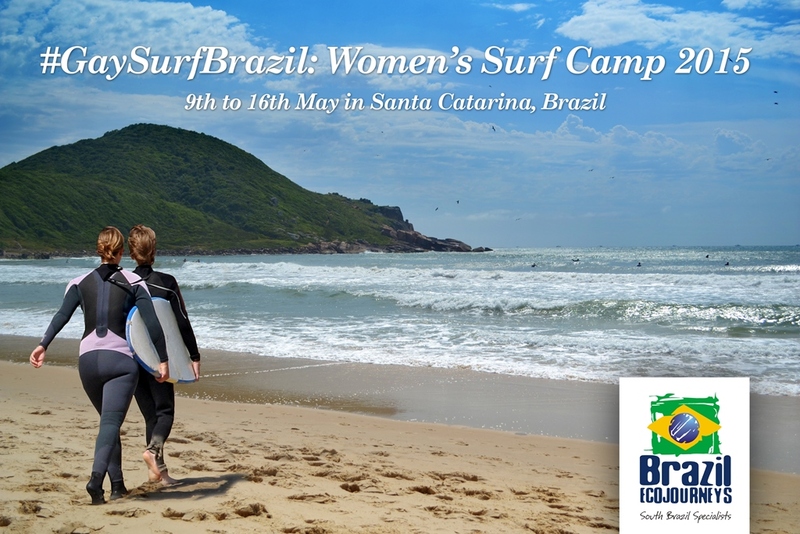 From May 9 - 16, Brazil Ecojourneys invites women to catch some of the sweetest waves in the country, during South America’s first-ever lesbian surf camp. Footballers, politicians and academics will attend the 'Breaking the Glass Ceiling' seminar at Amsterdam's Olympic Stadium, which focuses on institutional discrimination in football. Casey Stoney (Arsenal FC Ladies, England international), Thomas Hitzlsperger (ex Aston Villa, ex German international), Yaya Touré (Manchester City and Ivory Coast) and Raluca Negulescu, human rights campaigner at Policy Centre for Roma and Minorities, talk about discrimination in the game and what it takes to tackle racism, homophobia and all other forms of discrimination. Clarence Seedorf and AS Roma coach Rudi Garcia underlined the importance of football in promoting tolerance at the UEFA Respect Diversity conference. Players past and present have gathered in Rome to discuss the use of football as an educational tool in society and lend their support to the UEFA Respect Diversity conference. Addressing the UEFA Respect Diversity Conference in Rome, UEFA President Michel Platini spoke of the responsibility of the football community to promote diversity and eradicate discrimination. In his keynote speech to delegates at the UEFA Respect Diversity Conference in Rome, UEFA President Michel Platini emphasised the role that football has to play in setting an educational example for society in terms of diversity and balancing education with punishments for those who transgress.